Monday, May 13, 8:00 PM @ the Gene Siskel Film Center, 164 N. State Street | Chicago, IL 60601. Co-presented with the Gene Siskel Film Center in association with the Hong Kong Economic & Trade Office, New York as part of the celebration of Asian American Heritage Month. 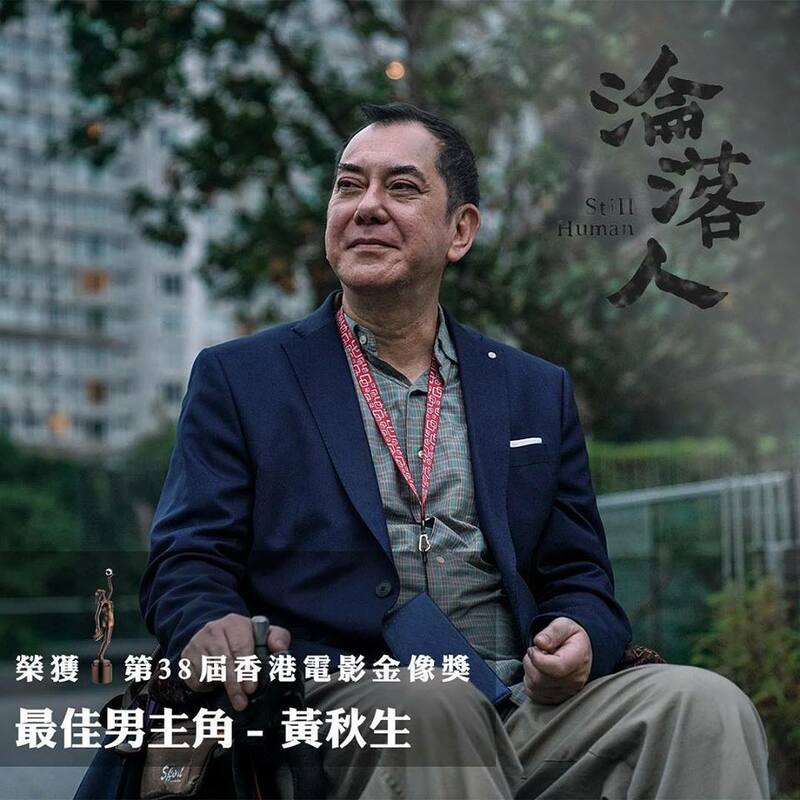 A paralyzed and hopeless divorcé, Cheong-wing (Anthony Wong) is in need of a caretaker. He meets his new live-in Filipino domestic helper, Evelyn (Crisel Consunji), who has put her dream on hold to come to Hong Kong to earn a living. Living under the same roof, these two strangers develop an unlikely relationship. As they get to learn more about each other, they also rediscover themselves. Together, they help each other through ups and downs, twists and turns, love and loss and experience the different seasons of life. Just when they think they have lost all hope, little do they know, life still has a lot to offer. On a random day a few years ago, I happened to see this: a Filipina standing behind the wheelchair. On the wheelchair was a middle-aged man, and they were cruising on the streets. Her long black hair was flowing in the wind, and they both had a big smile on their faces. It was a sweet sight. My immediate reaction was: that’s inappropriate, right? But when I thought twice about it, I realized my thoughts were in fact, more inappropriate. Two strangers from vastly different upbringings and cultural backgrounds were brought together by fate. Although they have different stories, they become the closest person in each other’s lives. It is actually a very beautiful thing. Click here for Director & Actress Bios. Nominated for eight major awards, this film just won the best new director for Oliver Chan Siu-Kuen, the best new performer for Crisel Consunji and the best actor for Anthony Wong Chau-Sang. The film just released in Hong Kong on April 11, and enjoying raving reviews and success at the box office.